Organising an event or celebration is seriously hard work. And choosing the right promotional clothing is one of the many things that take careful thought and detailed planning. You’ll want something that’ll get you noticed. But at the same time you want your friends, staff or volunteers to look good, feel comfortable and feel part of your group or team. At Lemon Fish you’ll get a custom clothing solution that’ll help your event go down a storm. That’s because we’re specialists in promotional clothing. We know what our customers want and what they’re trying to achieve. 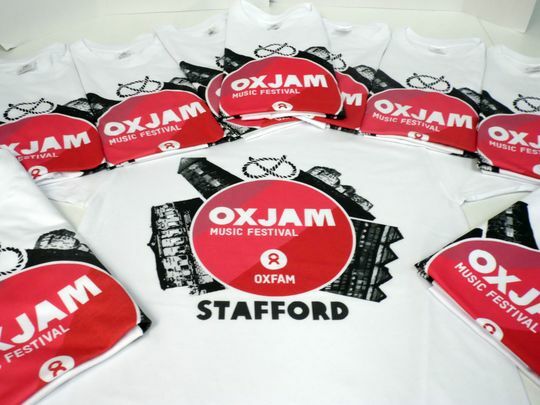 We’ll advise you on your choice of garment, the most cost-effective print method and a suitable eye-catching design. What’s more, you get your own dedicated customer adviser, who’ll be on hand to give you guidance on any other questions you might have – from the artwork design to the quality and durability that’s best suited to your event. And because they oversee your order from start to finish, you don’t get the runaround whenever you want to make a query or change your order. We offer discounts on larger orders. We do everything in-house. And many of our items are in stock and available for immediate printing. That’s why we call ourselves the super-fast, super-flexible clothing printing service.